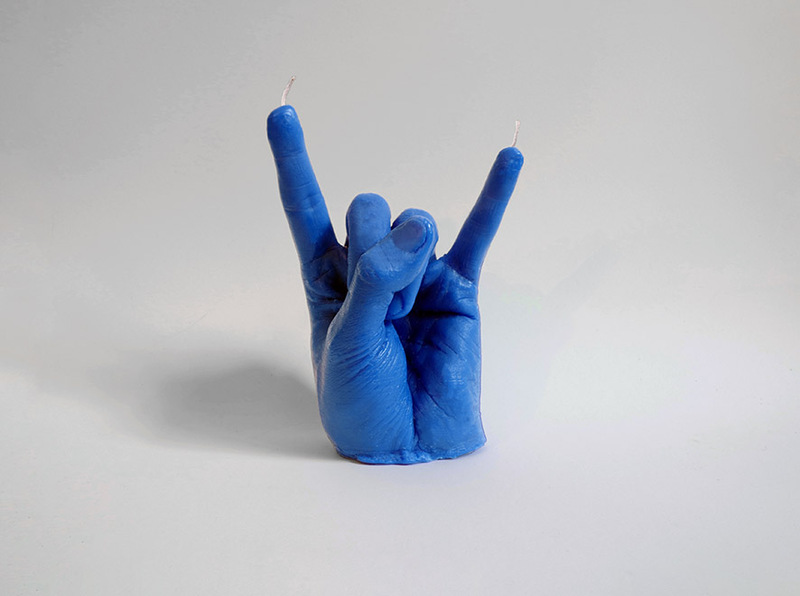 Hand Signs is an ongoing sculptural project depicting hand signals used by North American street gangs and molded from the artist’s own hands into candles. 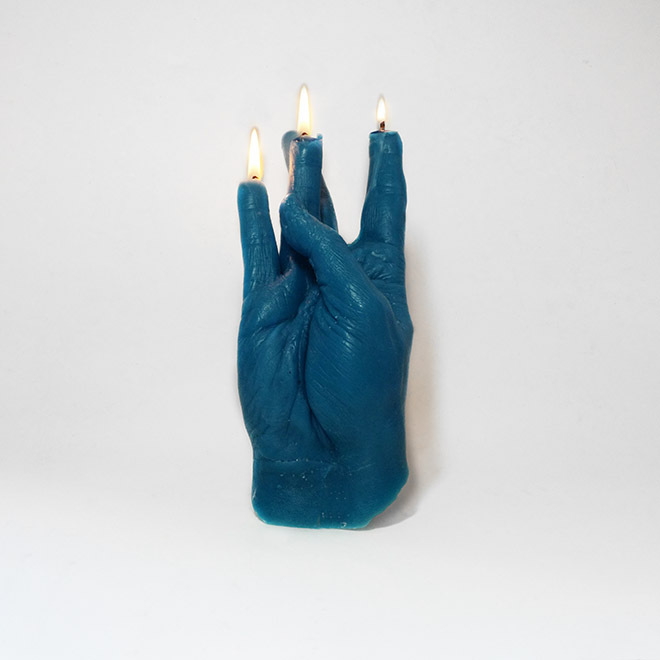 These candles may be burned, obscuring their intention by burning down individual fingers or other imagery, or they may be left intact. 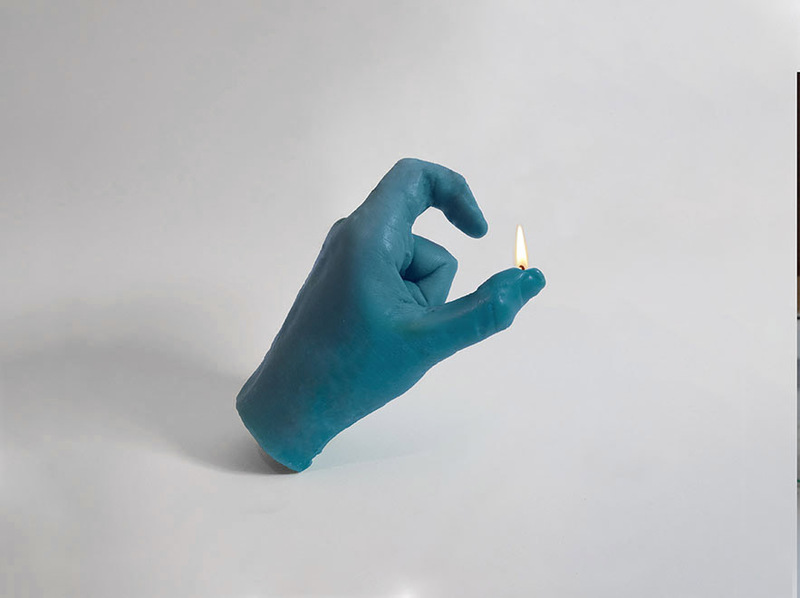 They are a part of a larger series by Phil America comprised of functional art objects for the home. 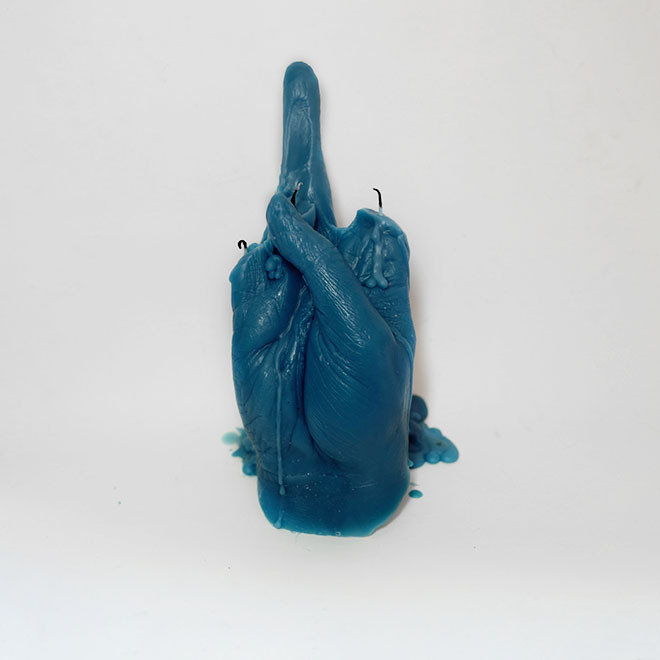 This creation of candles, traditionally seen as feminine items, but formed into highly masculine gestures, explores the duality of gendered and racialized objects. Further, it is an exploration of a subtle but important aspect of gang culture, a world which is often overlooked and misunderstood. 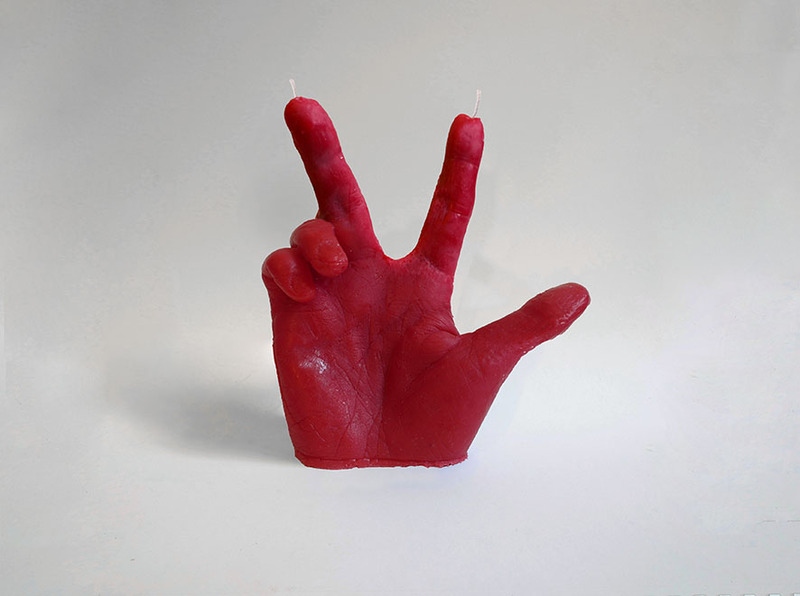 West Side is the first handmade candle, depicting a well-known gang sign used for the ‘West Coast’ of America, and is a fully functional candle molded from the artist’s hand. 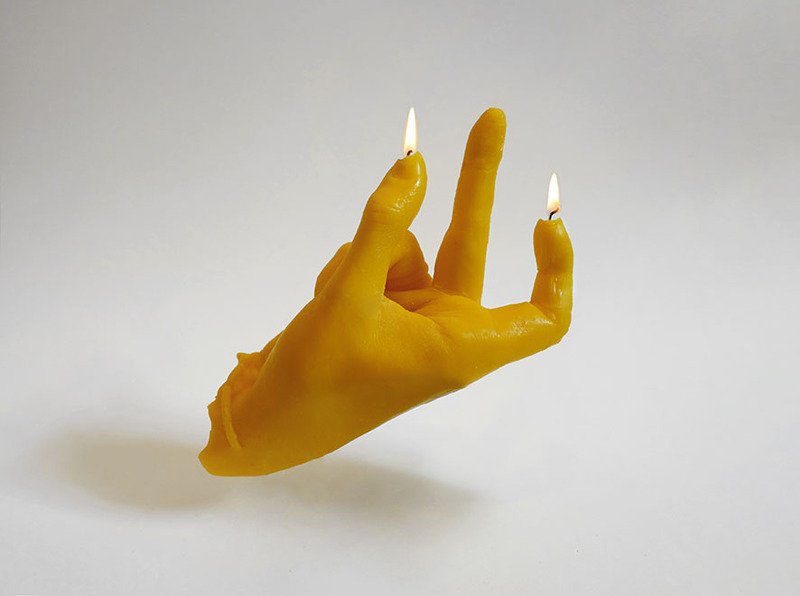 Upon burning the 3 wicks a hand giving the middle finger is revealed. It is scented with pine essence, an homage to El Pino, the long standing bunya pine located in East Los Angeles. The tree is described by residents as a living monument to the area’s multifaceted ethnic background and is featured extensively in the film Blood In Blood Out. 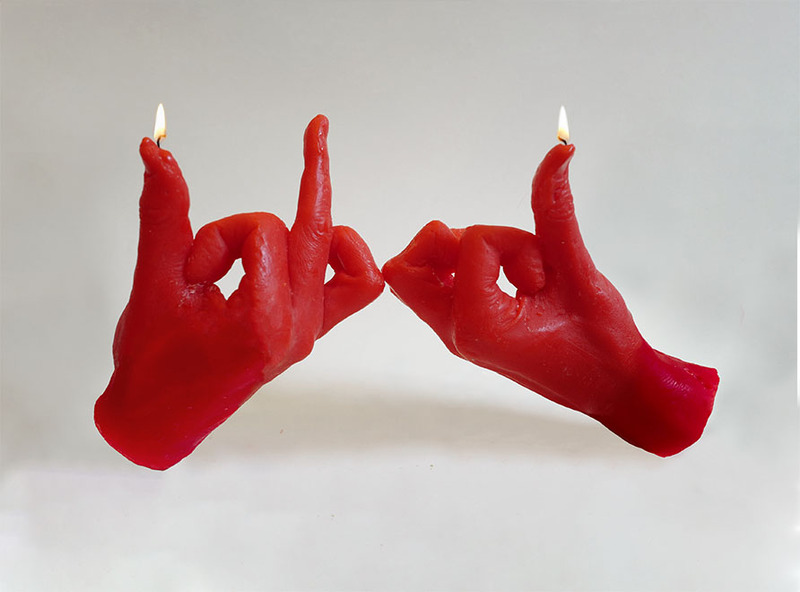 The series shows candles depicting signs from gangs such as Blood, Crip, Mara Salvatrucha(MS-13), Latin King, Tiny Rascal Gang and more.